Your BIOZEN beauty institute for men and women advises you this facial treatment to reduce pigment spots, brown spots, unify, brighten and illuminate your complexion. This anti-spots facial treatment is recommended for dull skin, pigment spots, and mature skin. This treatment gives the skin a luminous complexion and reduces spots. It starts with Cleansing Milk and Toning and then applies the “White Bio-Active” exfoliation that gives the skin a radiant flare. 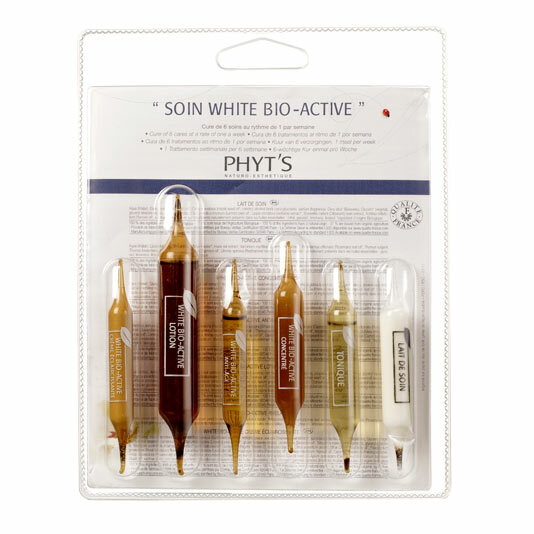 Then the concentrated “White Bio-Active” is applied to the spots by massaging lightly. Depending on the skin, steam and extraction of blackheads, then the massage that will allow relaxing the features. Finally, the mask, the serum and the “White Bio-Active” lightening cream completes this treatment combining efficiency and well-being. WHITE cream is available for sale. It allows continuing the peeling action between two cures. What are the results of a lightening facial treatment? The Acerola and PWE ® Complex deposited by the PHYT’S brand reduces pigment spots, illuminates and unifies the complexion. It is advisable to do a lightening facial treatment on average once a month or in a 4 treatment course (1 treatment per week).